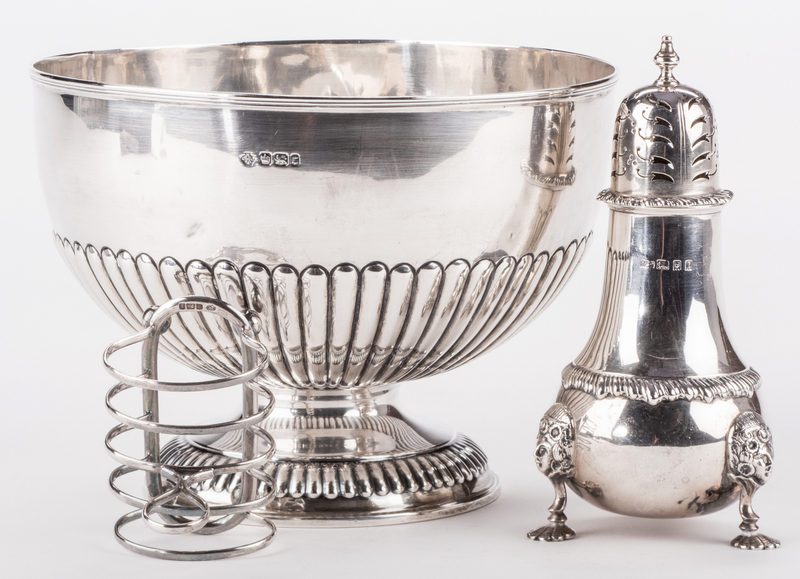 Three (3) English sterling silver serving items, caster, bowl, and toast rack. 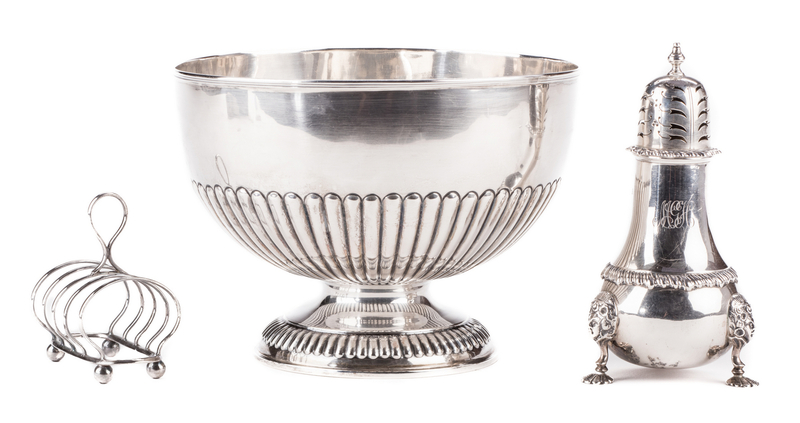 1st item: Mappin & Webb, London sterling silver sugar caster, pierced top with finial and gadrooned border, lobed body with gadrooned border to the mid-section, raised on female mask and shell feet. 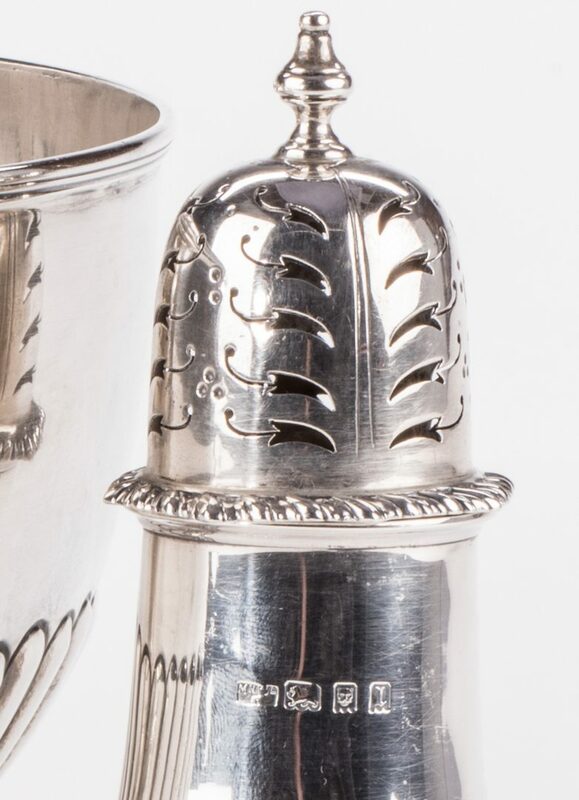 Mappin & Webb hallmarks to upper body, date letter for 1926, base additionally marked Mappin & Webb Ltd.. Monogrammed. 6 1/2" H. 7.190 troy ounces. 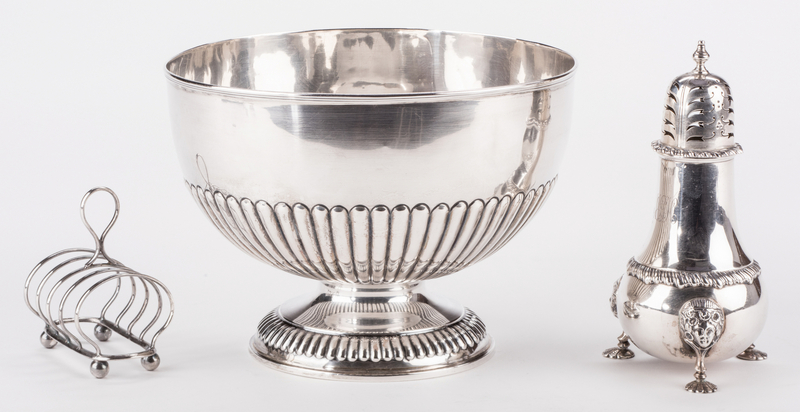 2nd item: Sheffield, William Hutton & Sons sterling footed bowl, with ribbed lower body and foot ring. Willliam Hutton & Sons hallmarks to the upper side, date letter for 1895. No monograms. 5 5/8" H x 7 3/4" dia. 15.150 troy ounces. 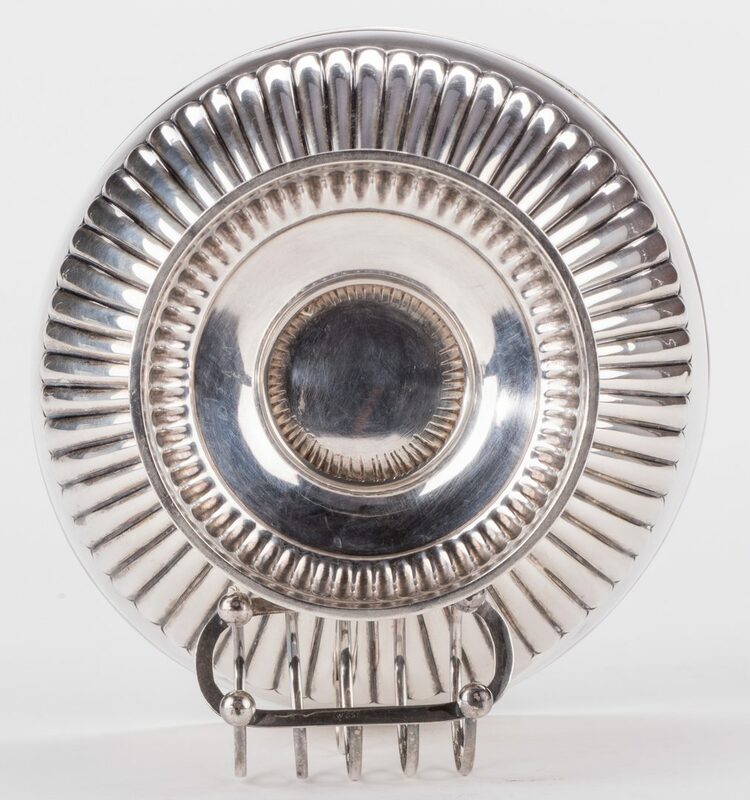 3rd item: Sheffield, John Round sterling toast rack, rounded form with ball feet. 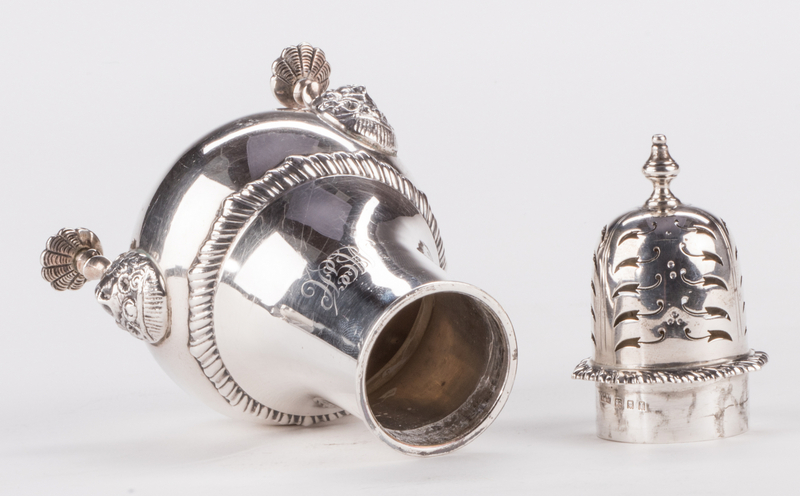 Hallmarks for John Round to one end, date letter for 1911, base additionally marked W851. 3 3/8" H x 3 3/4" W. 1.810 troy ounces. 24.15 total troy ounces. 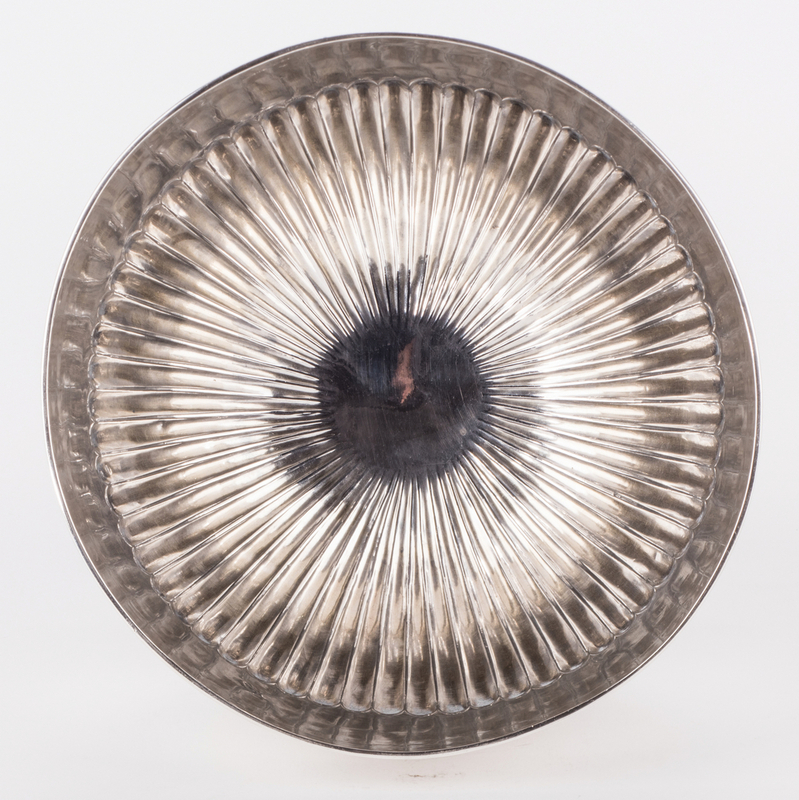 CONDITION: 1st item: Minor tarnish underside of body, lower edge of top, not visible when attached to body. 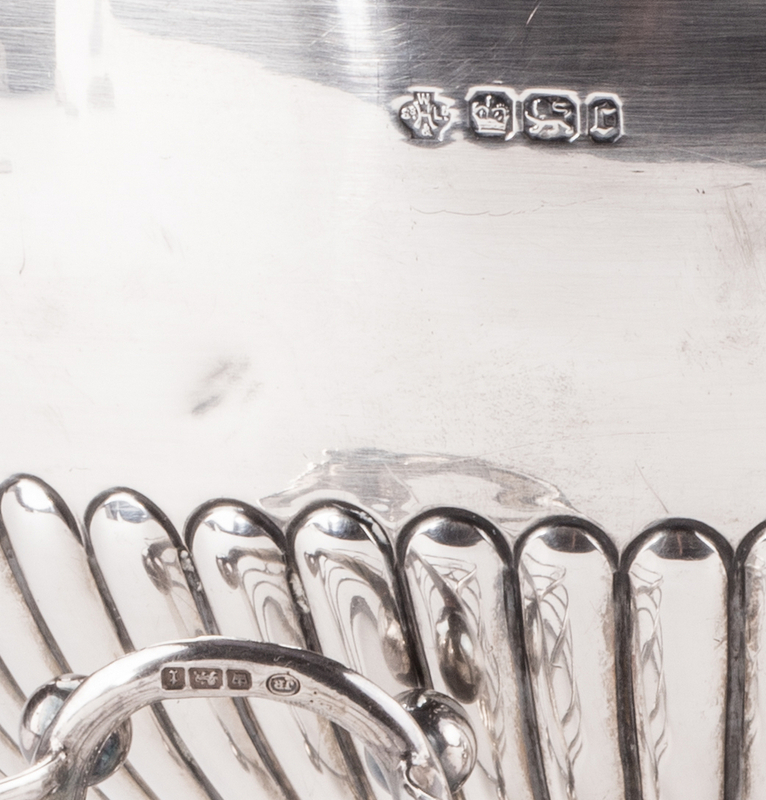 2nd item: Some denting to upper bowl, largest approx. 1", otherwise very good condition. 3rd item: Overall very good condition.